The name of this organization shall be the Raymond High School Alumni Association, hereinafter referred to as the Association. The Association shall be based in the town of Raymond in the county of Rockingham in the state of New Hampshire. The Association shall be an independent organization and its policies and programs shall be determined by the officers and executive board of the Association. *Article IV amended by Executive Board 3/11/04 by adding (d). Section 1. There shall be two categories of members - regular and honorary. Section 2. Former students of Raymond High School who have completed a minimum of one year as undergraduates shall be regular members of the Association. Section 3. 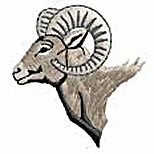 Honorary members shall be nominated by any Raymond High School alumnus/alumna, faculty member or administrator and voted on by a two-thirds affirmative vote of the Executive Board. Section 4. Honorary members shall meet the requirements of the Honorary Alumnus/Alumna criteria. Section 5. Regular members shall have the right to vote at all Association meetings and to hold office in the Association. Section 6. Honorary members possess all the rights and privileges of regular members except the right to vote or hold office. The officers of the Association shall be President, Vice-President, Secretary, and Treasurer. Section 1. The affairs of the Association shall be managed and controlled by the Executive Board, which shall include the officers of the Association; no less than 3 or more than 7 directors to serve a term of four years, approximately one-half of whom shall be elected every two years; and all past presidents of the Association. The officers of the Association shall also serve as officers of the Executive Board. Section 1. The officers shall be nominated by the Nominating Committee of the Association. Further nominations may be made by any member at the biennial Association meeting. The nominees must be approved by a majority of the members present at the biennial meeting of the Association. Section 2. The first election of directors shall elect approximately one-half of the nominated directors for a term of two years and approximately one-half of the nominated directors for a term of four years. Section 1. The officers of the Association shall take office following the annual meeting in October and shall serve a term of two years. Section 1. The President shall preside at all meetings of the Association and the Executive Board, shall serve as Chairperson of the Executive Board, shall represent the Association, shall set the agenda for meetings, shall take other actions as deemed to be in the best interests of the Association and/or its Executive Board, and shall perform other duties as assigned by the Executive Board. Section 2. The Vice-President shall preside at all meetings of the Association and the Executive Board in the absence or disability of the President, shall serve as Vice Chairman of the Executive Board, and shall perform other duties as assigned by the President/Executive Board. Section 3. The Secretary shall count and record votes of the Association and Executive Board, shall record attendance at meetings, shall take minutes at Association and Executive Board meetings, and shall perform other duties as assigned by the President/Executive Board. Section 4. The Treasurer shall record all funds received by the Association, shall disburse funds so voted by the Executive Board, shall keep the Executive Board informed as to the Association’s financial position, and shall perform other duties as assigned by the President/Executive Board. The Nominating Committee shall consist of three (3) members of the Executive Board as voted on by the officers and directors. The Nominating Committee shall draw up a slate of officers and directors to be presented to the Association at its biennial Association meeting. The Executive Board shall set the agenda and call Association meetings no less than biennially to hold elections for officers and directors and to conduct any other Association business. The annual meeting will be held in October. There shall be a minimum of four Executive Board meetings each year on dates determined by the officers. All executive Board members shall receive an agenda at least ten (10) days prior to the scheduled meting date. Special meetings may be convened by the President upon seven- (7) days notice to all members of the Executive Board. Twenty-five percent (25%) of the Executive Board, excluding past presidents, shall constitute a quorum at any meeting, regular or special. The Association shall draw its financial support from its members, and charitable donations. By-laws may be adopted, amended, or repealed by a two-thirds vote of the members present at any regular Executive Board meeting provided a quorum is present and further providing that such action appeared on the agenda. Standing committees of the Association will include: Alumni Data Base (maintenance of names and addresses) and Alumni Scholarship. Other committees shall be appointed by the President as appropriate. These Bylaws shall become effective upon passage.